The NBC-owned USA TV network has launched its own iPhone, iPad, and iPod touch application to bring the USA show viewing experience to the small-screen. The application, like many TV network apps currently on the App Store, allows customers to watch shows the day after they air. The application also includes a backlog of past show episodes. Like some other applications of the same category, users will need to authenticate the application with their credentials for their home TV provider. If a user does not subscribe to USA on their home TV setup, they can still watch some exclusive content via the application. Besides TV shows, the application can access behind-the-scenes clips, a full programming guide, interviews, and more. 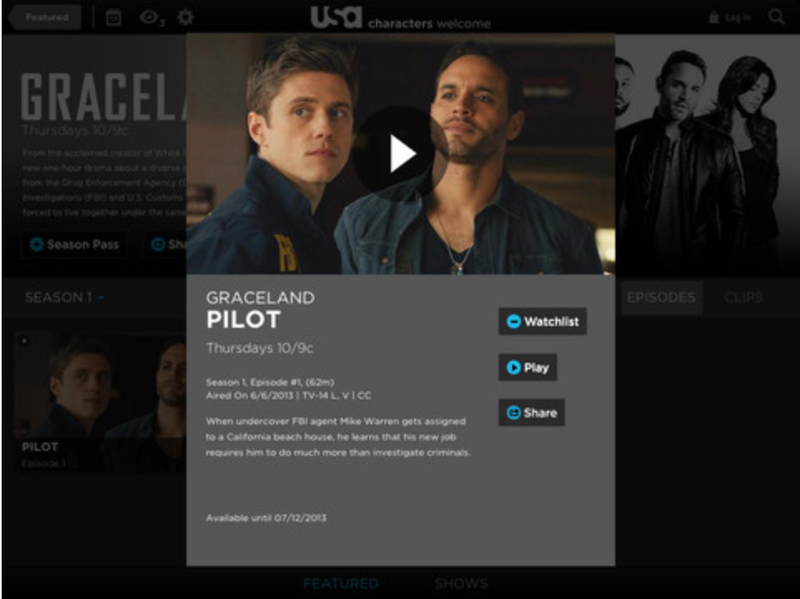 USA today airs popular shows such as Burn Notice, Graceland, and Suits. The new app is free on the App Store. The companies plan to announce an agreement within a few months, said the people, who asked not to be identified because the talks are private. The iPhone maker is also hiring Pete Distad from online-video service Hulu, where he was senior vice president in charge of marketing and distribution, to help Apple executives in negotiations with media and cable companies, two people with familiar with the matter said.